Guest Post: Do Red Sox Count as PPE? 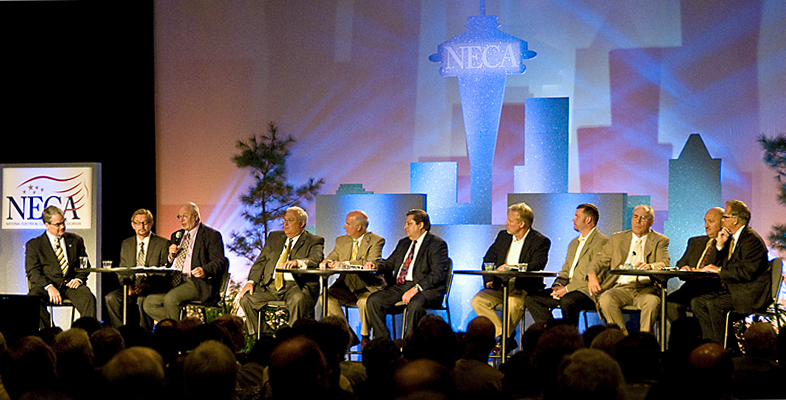 Amazing how fast the 2010 NECA convention is approaching. It’s hard to believe it will be here in just a couple months. What always impresses me about the NECA convention is the amount of valuable information for our members and the industry, on top of some of the best social events and networking opportunities in the industry. Being born and raised in the New England area, I maintain a continuous following of the Boston Red Sox and wouldn’t you know it, this convention has been coordinated to allow attendees to experience a contest between old rivals – the NY Yankees and Red Sox ! The opening reception at Jillian’s should be a great time for all with plenty of entertainment, food and drink, and yes, cheering on the Sox next door with a great view of all the action at Fenway Park. Being so active in electrical safety and training related to codes and standards, I was totally impressed in the line-up of offerings put together for this NECA convention. It seems NECA just builds on this year after year. What is really exciting is the expansion of programs being offered that address the outside line industry. I’m really looking forward to the programs on the ETD Partnership Best Practices, EEI’s Electrical Contractor Safety Initiative Program and NJATC’s Outside Line Construction Training Program. Wow! NECA is even providing an OSHA 10 course for the outside line workers. So not only will these attendees get to take in the excellent trade show exhibitors, they can gain training credits needed by completion of this training program. The 2011 National Electrical Code® is scheduled to be published in September of this year. 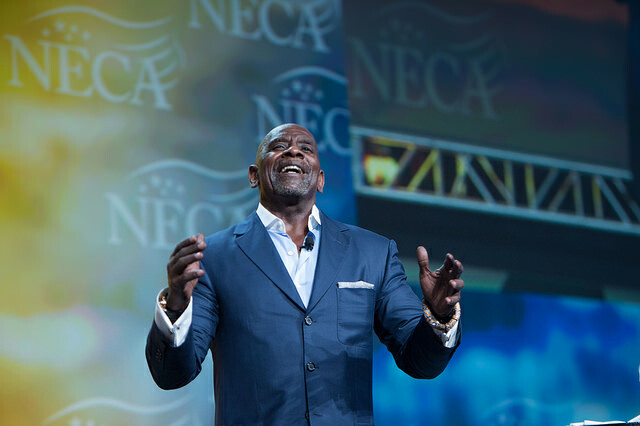 NECA has left no stone unturned as far as bringing the latest and greatest information that provides exceptional educational value for attendees. 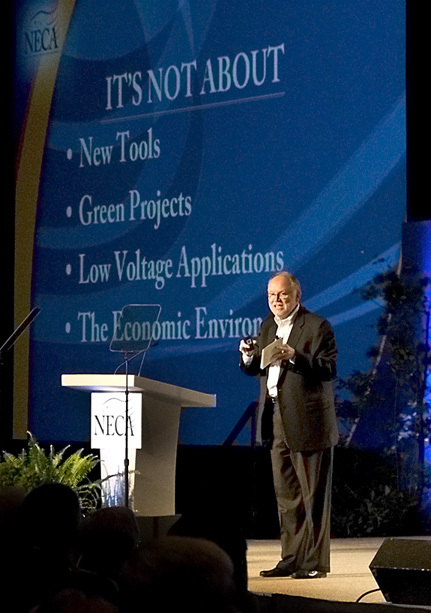 I’m so excited to be teaming with Jim Dollard to provide a 4-hour session that highlights the significant changes that have been accepted in the 2011 NEC. The general sessions are outstanding this year and promise to provide all the inspiration one could manage. The undersea exploration presentation by Dr. Ballard and the sharing of Michael Durant’s experiences will intrigue us all. Based on past experiences, the labor relations session once again, promises to take on difficult issues and provide valuable insight into ways to meet the challenges we face in daily operations. I mentioned the social events, keynote speakers, training events, and networking opportunities, but I was also really blown away at entertainment provided at this NECA convention closing celebration. A tribute to the Beatles music couldn’t be more appropriate or popular, in my opinion, but then again, I love Beatles music! The Fab Four: A Tribute to the Beatles will be performing at the NECA and will certainly provide all the musical entertainment that the all can relate to. 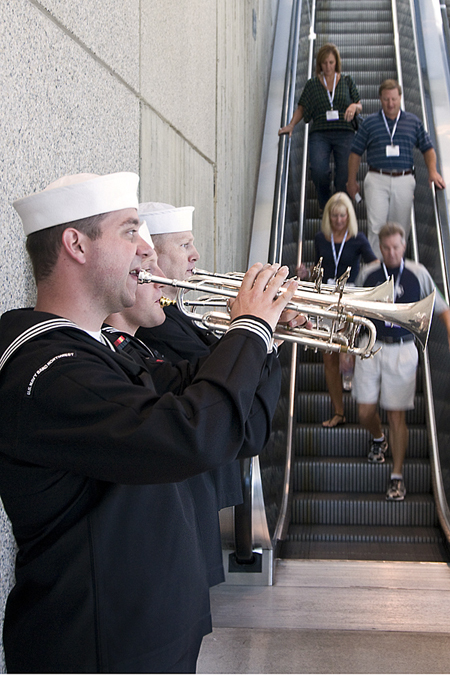 Without question, NECA has pulled out all the stops as far as assembling the functions for this year’s convention and trade show. I’m so excited to be part of it and look forward to seeing you there at the NECA Show!